Trekkie Trax mostly hosts young artists emerging from the Japanese (and beyond) electronic scene, but they can pull in some veterans too. 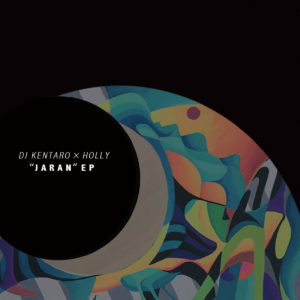 This release pairs long-running Japanese artist DJ Kentaro (a turntable champion) with younger Portuguese producer Holly for two songs, acting as a nice little connection between generations. “Jaran” finds them playing with restraint, the sharper drum machine hits muffled and surrounded by space, the pair never letting the song turn disorderly (and hey check out that turntable scratching). “City Lights” gives in a bit more to its rowdy side, but still boasts sparse passages that make the chest-thumping parts land tougher. Get it here, or listen below.